There are many options for finding personal trainers in today’s world. 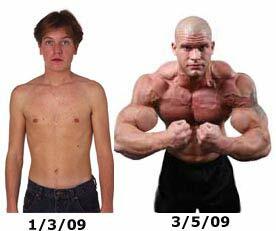 The more information you can find about a personal trainer before you meet the better. Before you browse through personal trainers websites and advertisements it is best if you know exactly what to look for and what to watch out for. 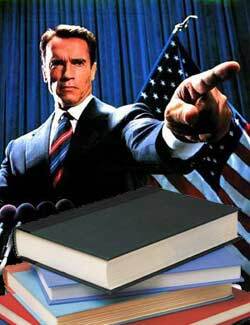 A college degree shows you that a personal trainer is not just a used car salesman in the fitness industry to make a quick buck. Just because a personal trainer has a degree does not mean they are better than trainers without degrees but it is definitely a positive. Any legit personal trainer must have a nationally accepted personal training certification in order to train clients and for liability insurance purposes as well. Only consider trainers who have these certifications. Personal trainer certifications require a current CPR certification as well. Bad, unrepeatable personal training certifications are a dime a dozen which is bad news. 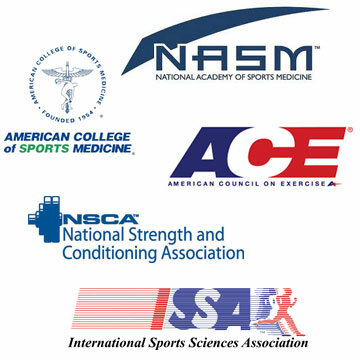 The good news is there are 3 certification organizations (ACSM, NASM, NSCA) which have top-notch certifications and another couple dozen which are widely accepted and respected, the most notable are ACE, ATPA, ISSA & NFPT. Most experienced personal trainers do not work as employees. Make sure the personal trainer carries their own personal liability insurance. Cases of personal trainers harming clients enough to warrant a lawsuit is extremely rare but it is worth it is still important they possess the required insurance. Personal trainers at your local gym that are employees are covered by the gym. Most successful trainers will have some success stories which they will share by posting their client success stores and testimonials on their advertisements and websites. Look at what other people say about the personal trainer and look for contact information as you should verify the testimonials as they often are red flags (see below). Just because your fitness goal is to lose weight and a personal trainer specializes in bulking up bodybuilders does not mean they can’t help you but you’re better off finding a personal trainer that is a specialist. If there is a plentiful supply of personal trainers in your area you likely can find a personal trainer who specializes in your specific fitness goal. 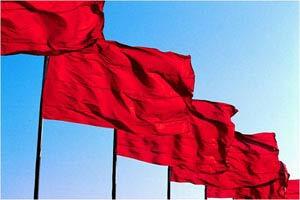 Red flags are telltale signs a personal trainer may not be all they make themselves out to be. The standard saying, “If it sounds too good to be true it probably is,” holds true most of the time. If something sounds suspicious don’t be afraid to question any claim the personal trainer makes. Personal trainers and their most successful clients are proud of the results achieved through personal training and will often post before & after photos and testimonials for their trainer. If you see photos which look like they have been altered or generic looking testimonials you should ask the trainer for the clients contact information to verify their claims. The profession of personal training is all about establishing working relationships with clients. If a personal trainer refuses to give you any client references it a good sign that he/she either hasn’t worked with any clients or has not established successful relationships with past clients. Either way it is best to look elsewhere. If your trainer refuses to prove they have the certification they claim, you can contact the certification company to verify that the trainer has the certification and it is not expired. Perhaps the best way to find good personal trainers is by referrals from happy past or present customers. Ask your friends to ask their friends and their friend’s friends if they know of any success stories with local personal trainers. You may also want to ask other related professionals such as doctors, physical therapists, massage therapists, nutritionists, et., if they have any personal recommendations. If you have been going to a gym or fitness center you have likely seen personal trainers training clients or working in some capacity. Most personal trainers are people persons so don’t be afraid to start up a conversation. Ask them as about everything listed above as well as anything else that comes to mind but most importantly try to feel them out to see if your personalities are compatible. If you are currently in the market for a gym membership you may want to shop around and find out which gyms offer personal training programs with the memberships. If you do want so sign up for a gym membership as well as start with a personal trainer, make sure to ask how many sessions come with the membership. If you sign up for a membership, the “fitness councilors” or whatever the salespeople are called at that specific gym will just put you with any random trainer who is available. Sometimes the “fitness manager” can also be a glorified salesman who can mismatch you with the wrong personal trainer. Try to talk directly to the personal trainer you are interested in exercising with. If you are new to the gym and do not know any of the staff very well try to view a list of trainer profiles before you make any decisions. If there is no way to see all about the trainer’s qualifications in the gym you can always look online where trainers list more than enough information about themselves for you to get a good feel of your compatibility. FitnessTrainer is a super convenient website to help you connect with a local certified personal trainer. Whether you’re looking to get healthier, lose weight, fix your posture, or simply learn how to exercise to take things over on your own, they can match you with a qualified personal trainer who can customize your workout sessions to help you meet your unique fitness goals. The world-wide free classified ads website with millions of listings per day. You can search specifically in your city, state or country. Finding a personal trainer on craigslist is easy as most personal trainers post their ads under Services/Lessons & Tutoring section. Simply perform a search for the phrase ‘personal trainer’ under lessons & tutoring and see what you get. Personal trainers on Craigslist.org will either list their information on their ads or link to their own personal websites. Gather as much information as you can. Most local businesses advertise on Google maps. Simply perform a Google search with the words, “personal trainer (insert your area)” and you will see the Google map listings towards the top alongside the city map. Google local business listings can often be beneficial for finding a personal trainer because reviews are often posted in the listing. Yelp is fast becoming the most popular review site for local businesses. Beware about some of the reviews though as this is a company which has been accused dishonorable business ethics as some accuse Yelp of charging to remove bad reviews among other complaints. F inding a personal trainer has never been easier. Simply browse by your state and find the best personal trainers in your area. All trainers in the personal trainer directory have either college degrees and/or nationally accepted personal trainer certifications. Learn more about what qualifications separate average personal trainers from elite personal trainers. Finding a personal trainer is often the easy part. Sometimes figuring out their qualifications is the hard part as there are many personal trainer certifications. Learn about the top tier certifications as well as the respected CPT certs.